When decorating and designing your home, every centimetre of space counts. And of all of the areas in our dwellings, corners are most often ignored. So, I hear you thinking, what should go in that empty corner? Moreover, how can I possibly transform it into a stylish area of my room? Luckily, homify is here to help! We've gathered 9 examples of brilliantly designed corners to help you creatively decorate your home. Read on below to suss out some stylistic options that are sure to appeal to your aesthetic sensibilities. From simply adding extra storage to implementing bright neon lighting, there are plenty of gorgeous ideas guaranteed to spark some home improvement creativity! Bookshelves fit into corners fabulously, and can be combined with a small desk to create a workable home office. Take your cues from this example, which has given this seemingly impractical corner a new lease on life. 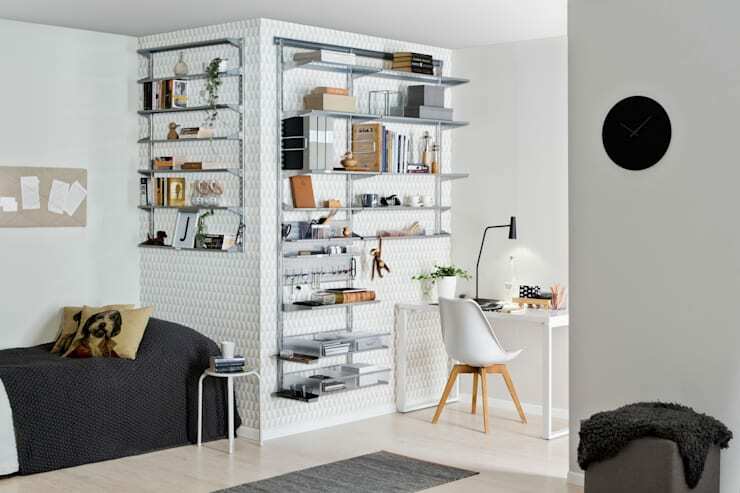 Is there any better way to spruce up a corner space than to remove it entirely by installing stylish (and extremely practical!) modular shelving? 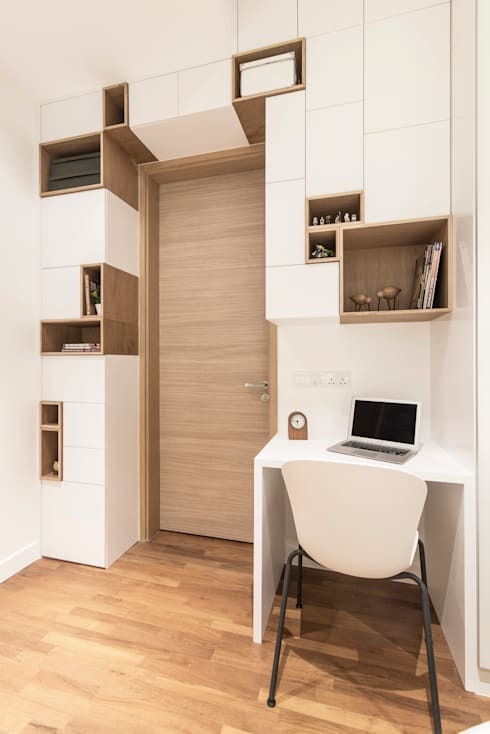 We don't think so, and neither does this gorgeous compact bedroom that seamlessly introduces a wall of joinery. 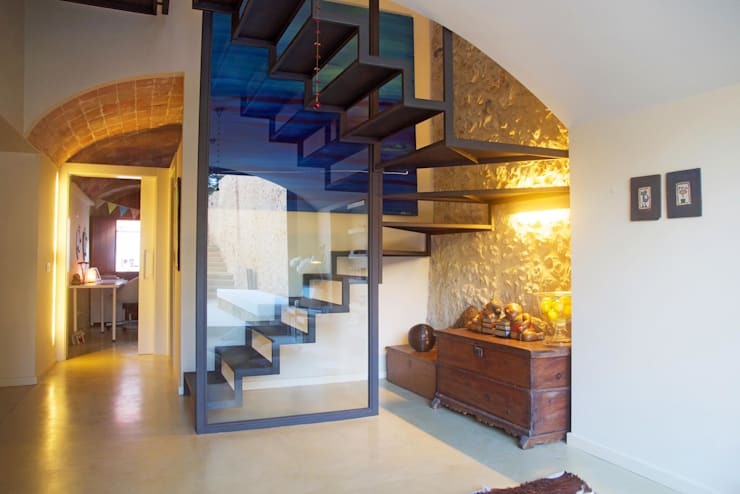 Are you considering new joinery for your home? If so, chat to a professional joiner and get the right advice, ingenious ideas, and the job done right! If you have a corner at the entrance to your front door, you might want to consider transforming it into a welcoming station that looks impressively dapper. Add mirror, wall-mounted shelf, pouffe, freestanding light, and voilà! 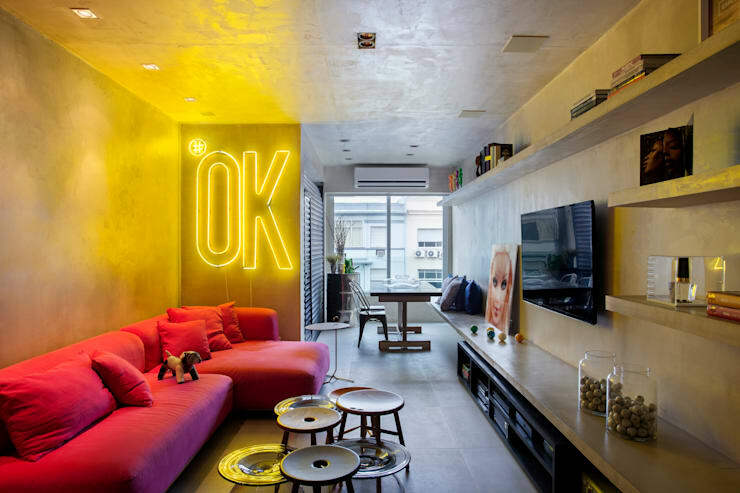 Our personal favourite, this neon light really brings a warm and intriguing glow into the living room, highlighting the corner space, and adding a jazzy sense of urbanity. An indoor plant always adds energy to the area in which it is situated. Add a little greenery to your room by placing a planter in the corner and watch the space come alive. 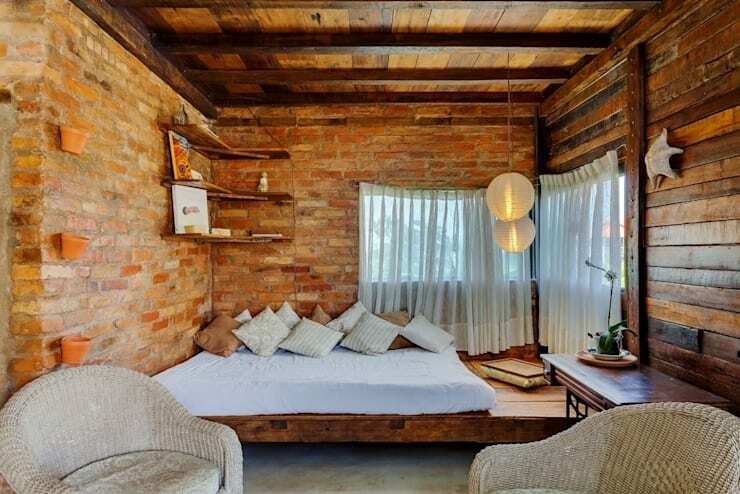 We love this room in all of its rustic glory. Evoking a sense of relaxed nonchalance, the aura is serene and romantic. Corner shelving provides the final touches, ensuring there is a place for art and objet d'art. Don't underestimate the stylistic power of a neat antique trunk. Oozing sophistication and timeless class, a timber or leather trunk is a great way to bring attention to your corner, while also incorporating a handy storage space. Corners don't necessarily have to be within the home. 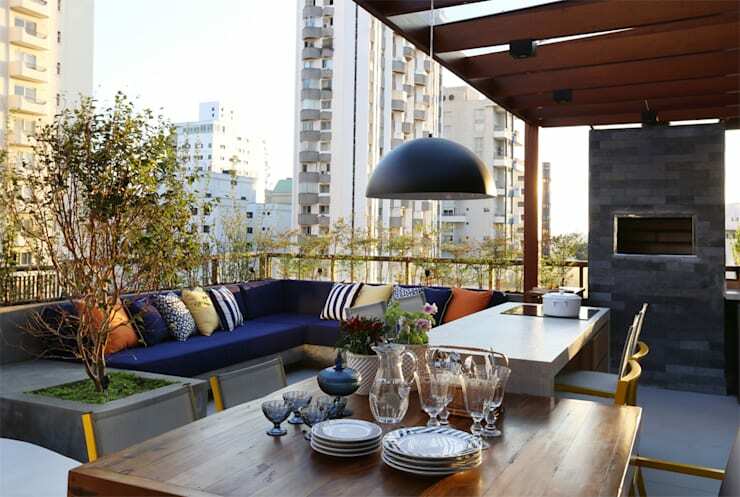 This balcony corner has been given a purpose by installing a corner sofa that provides a tranquil place to relax, as well as an eye-catching feature. The final corner we are looking at today has been brought to life by employing a neat informal dining space. Although the corner is left simple and neutral, it still hosts the seating for this gorgeous setup. 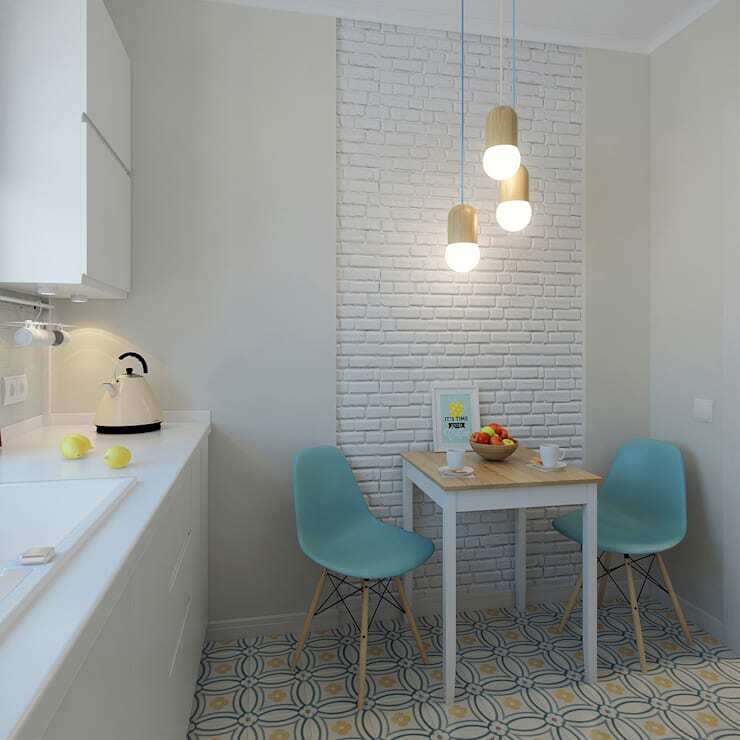 Do you have any other fabulous tips for our homify community? We'd love to hear from you; leave a comment below!